This community is no stranger to MRSA in amputee dogs and cats. Known as “methicillin-resistant staphylococcus aureus,” MRSA is a bacterial skin infection that strikes pets (and people) who have weakened immune systems. It’s not common, but we do see it here. Both people and pets carry MRSA germs every single day, but when the body takes a beating, that’s when we’re at risk for MRSA germs to rapidly colonize and cause problems. The condition resists most antibiotics and without prompt, appropriate treatment can be fatal for the patient. If your pet hasn’t had amputation surgery yet, ask your vet about amputation incision site wound care. Knowing what a normal dog and cat amputation incision site looks like is critical. Any abnormalities should be reported to your vet immediately. Here’s why. How is MRSA in Amputee Dogs and Cats Treated? Because MRSA can cause so many different kinds of infections, and it’s impossible to tell for sure what kind of bacteria are involved based on how the infection looks, MRSA is usually diagnosed based on bacterial culture, which can take 1-3 days to complete. Molecular tests are now being used which can detect MRSA more rapidly (hours versus days), but these tests are not used in animals. Once the type of MRSA bacteria is confirmed, your vet will prescribe the antibiotic that’s got the best odds at controlling it. Tripawds like Ty, Bud and Sketch are dogs who beat MRSA thanks to fast-acting veterinarians. Most recently, Izzi was diagnosed with MRSA after her amputation surgery. She came home on a Sunday and by Thursday we were back at the vet because she had a small opening near her stitches that didn’t look right to me. . . after a few more days the wound was getting much worse and the drainage was getting thick and cloudy. Back to the vet we went. It was determined that she had contracted an antibiotic-resistant infection which would require much more serious treatment. Thankfully the drug worked and Izzi bounced back. But it wasn’t easy. If you suspect that your recovering Tripawd dog or cat has an infected incision site, call your vet immediately. Even when your vet prescribes an antibiotic, insist on a MRSA culture. It could save your pet’s life. 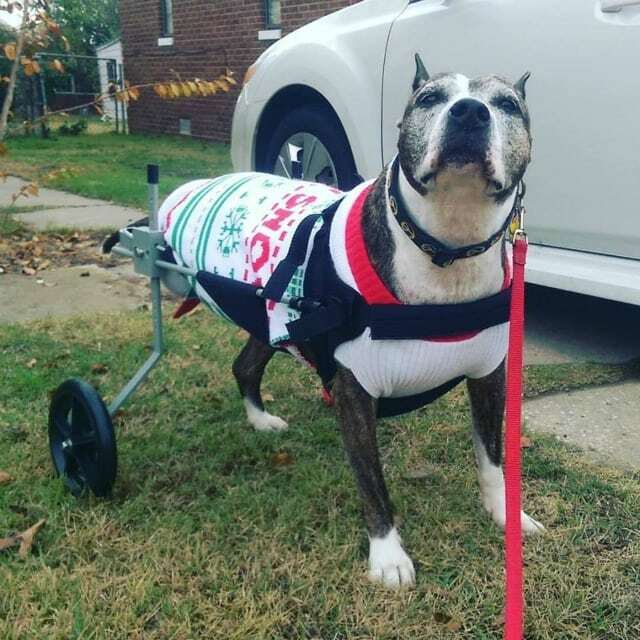 Our tripawd lost her leg to a flesh eating bacteria (not MRSA but same effects). It spread from a small spot on her shoulder where she got stung by something (whatever it was had the bacteria on it) to her whole chest and leg in less than 24 hours. It was so scary. We didn’t know whether she would make it even after the surgery. You can’t mess around with these kinds of infections! Wow. That must have been scary! Thanks for sharing. I just happened across this on Pinterest! When I saw my sweet Izzi’s picture I was so proud! Thank you for featuring her and for sharing the info about what saved her. I hope it can help someone else in the future! Does the MERSA only show up at the insicion sight? Our Rotty has a sore on her cheek since her amputation in Oct. The Vet is aware and sold us a spray to use. 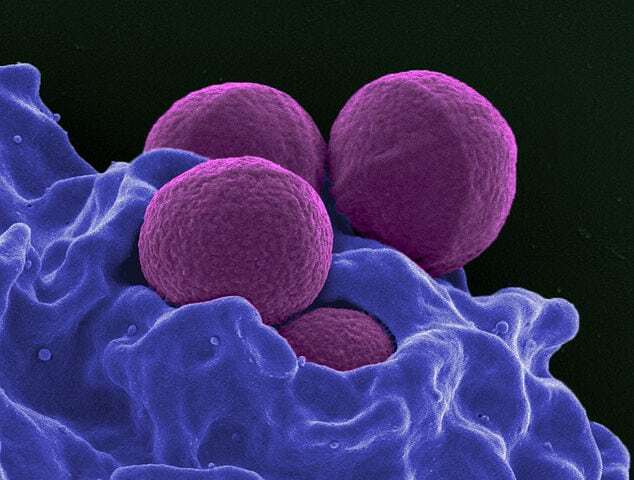 MRSA is systemic and can present itself anywhere. Your vet knows best, but whenever in doubt, get a second opinion! So important for me.bers to be aware. It seems more often than not, the owners are the ones bringing it up and asking for the test. Thanks to posts like this, we have a well informed group! BTW…Izzi is ADORABLE!! So glad she is doi g well!